Goodies for all the chemistry freshman! This was the motto when we distributed around 1600 freshman bags to all new chemistry students in Vienna, Linz, Innsbruck and Graz. Apart from handy goodies they also found some information about our activities and the opportunities we offer. We hope to be able to lend a hand to even more young chemists throughout the coming year and wish all freshman a fantastic start! 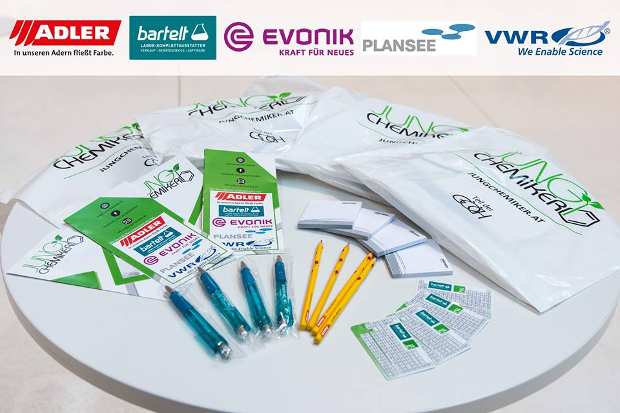 We also want to thank our sponsors Adler Lacke, Bartelt, Evonik, PlanseeSE and VWR, without whom this project would not have been possible.